An Aberdeen sports facility is the first in Scotland to achieve the highest possible standard in the leading UK sports and leisure quality scheme. 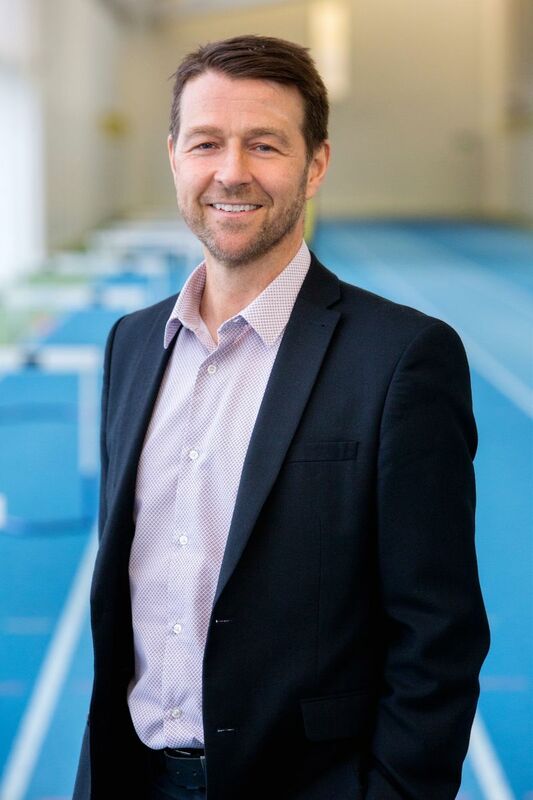 Aberdeen Sports Village, which is based on the city’s Linksfield Road, is the first facility in Scotland to have passed the toughest assessment offered by Sport Scotland’s leading national quality scheme, Quest. Quest is the best-known improvement programme within the leisure industry and its rigorous assessments challenge all leading leisure centres in the UK. ASV has achieved Quest Stretch, which is only available to high performing centres, and is the highest possible achievement. In order to qualify for a Quest Stretch assessment, centres must have been rated ‘Excellent’ in their previous Quest assessment. To achieve the top award, ASV went through a two-day assessment plus a mystery visit. To make the process even tougher, managers were not informed when the assessor or mystery visitor would be arriving. ASV was particularly commended by Quest on its programme for older people, Evergreens, which helps participants remain active for longer, as well as its opportunities for children and disabled people. “Everyone at ASV is dedicated to providing the best service and facilities for all of our customers. We are delighted to achieve this award, as it is a testament of the high standards we strive to provide. (L to R) Sarah Harker and Moira Gash of DeeTour and VisitScotland regional director Jo Robinson. A pair of Aberdeenshire entrepreneurs have launched a new tourist guidebook aimed at attracting more visitors to Royal Deeside. 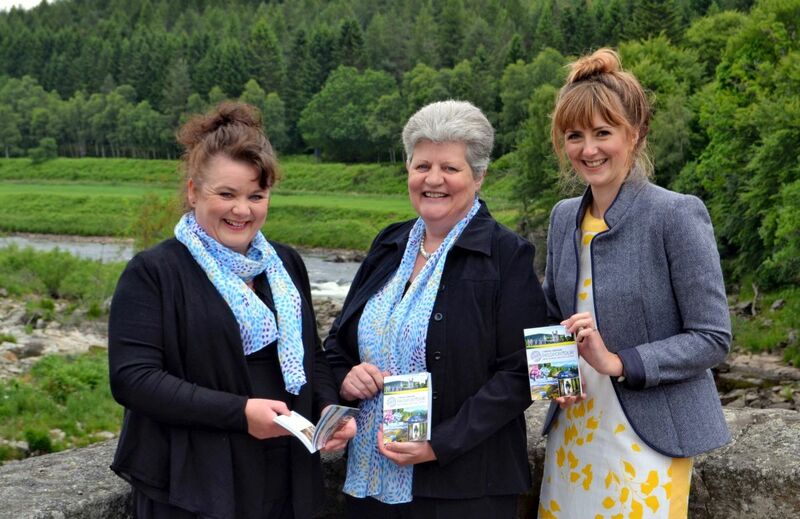 Moira Gash and Sarah Harker, who run tour and activities business DeeTour alongside their own separate businesses, have created the Royal Deeside PassporTour, a pocketsize guide showcasing things to see and do in the Aberdeenshire valley. The pair previously worked for tourism body Visit Royal Deeside. Aimed at national and international visitors and locals alike, the 128-page book highlights the diversity of the area’s tourism offering. The guide was created after local tourism businesses called for this type of publication. With stunning scenery, a wealth of locally produced food and drink, and an array of tourist attractions, golf courses and outdoor activities to enjoy, Royal Deeside has something for visitors of all ages. The book is designed to provide a comprehensive insight for those planning a trip to the area, while also acting as a guide and money saving tool as they explore the region. Along with highlighting key tourist attractions and profiling the amenities and activities on offer in each of the main towns, the guide features interviews with local artists, tour guides, musicians, sportspeople and tourism professionals, helping to bring the region to life. A golf trail and a tea and cake trail each present further incentives to explore Royal Deeside, with participating businesses offering discounts to customers. The history, heritage and culture of Royal Deeside and Scotland is also outlined, and a handy summary of Doric words will help visitors to grasp some of the basics of the distinctive north-east dialect. Priced at £9.95, the Royal Deeside PassporTour provides purchasers with over £200 worth of savings through the 23 vouchers and two trails that it features. The guidebook is also suitable for local families looking for inspiration for things to do during the summer holidays. Vouchers include 15% off at Go Ape at Crathes Castle, 50% off at Battlegrounds Paintball, two for one entry to Braemar Castle and 20% off day rover tickets at the Deeside Railway. “The Royal Deeside PassporTour aims to allow travellers to make informed choices as they plan their trip to Aberdeenshire and also act as a reference tool while they are visiting. Thanks to its royal connection, Deeside draws visitors from around the world and we’ve had interest in the guide from far and wide. The initiative has received the backing of VisitScotland, and was showcased at this year’s Royal Highland Show as part of the Aberdeenshire Village display, where it was given an enthusiastic reception from show visitors. 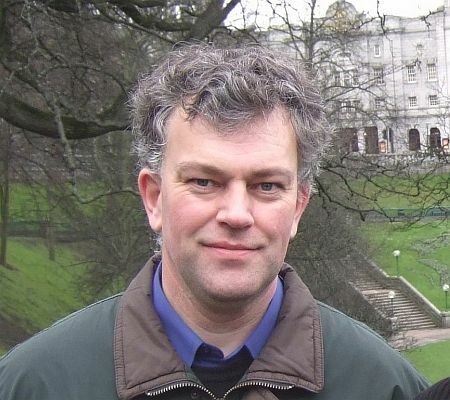 “I think the Royal Deeside PassporTour is a great idea to inform visitors coming to beautiful Royal Deeside of the vast array of attractions, entertainment, locations and handy hints and tips, as well as locals looking for ideas for the summer holidays. “Partnership and collaboration is at the heart of Scottish tourism and VisitScotland works with local industry to develop and deliver innovative initiatives that grow the regional visitor economy. We need to think big about Aberdeen and Aberdeenshire as a tourism destination to ensure we fulfil our potential – every visitor must get a quality experience, every single time. Copies of the Royal Deeside PassporTour can be purchased from a number of businesses in Aberdeen and Aberdeenshire or online at www.deetour.co.uk. DeeTour is an Aberdeenshire-based tour and activities business that was established by business partners Moira Gash and Sarah Harker. The business provides bespoke tour and activity packages to help visitors explore Aberdeenshire. In 2017, DeeTour launched the Royal Deeside PassporTour, a new guidebook highlighting the wealth of things to see, do and sample in the region. The pocketsize book, which costs £9.95, includes over 20 vouchers that provide more than £200 of discounts at local business. Further information about DeeTour and the Royal Deeside PassporTour can be found at www.deetour.co.uk. 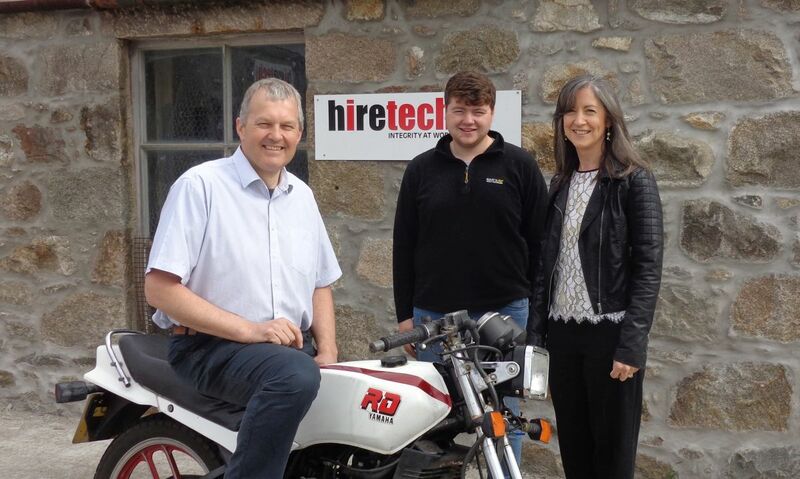 From left to right: Pat Ramsay, Myles Edwards, Phil Anderson, and Louise Dingwall. A North-east financial services company has helped to provide Kenyan children with opportunities for a better future through a charitable donation. 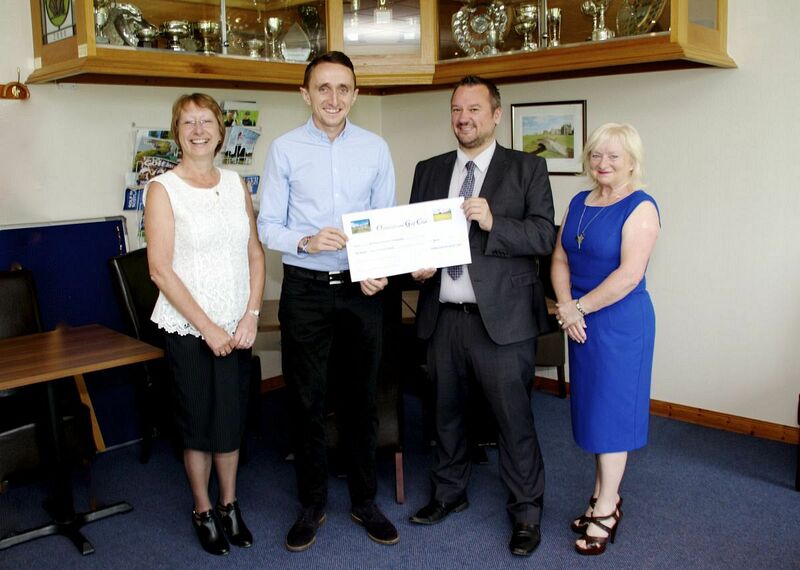 Phil Anderson Financial Services, which has offices in Ellon, Aberdeen and Caithness, recently donated £500 to the Gathimba Edwards Foundation, a charity that supports disadvantaged kids in the east African country of Kenya. Through its sponsorship of the Charity Open at Oldmeldrum Golf Club, the firm selected the Gathimba Edwards Foundation as a beneficiary, due to the charity’s dedication towards improving the lives of almost 250 poverty-stricken Kenyan children. To date, the Gathimba Edwards Foundation, founded by Aberdonian Myles Edwards and Kenyan international Gideon Gathimba, has built 17 homes for over 70 children and provided education opportunities, shelter, clothing and food to 243 kids across Kenya. Phil Anderson Financial Services regularly supports numerous charities and community initiatives across the North-east. Last year, the business was recognised for its charitable efforts and was awarded with the Small Business Big Heart Award for its support of the Aberdeen Cyrenians. Since the firm was launched in 2011, its staff has raised over £10,000 for a large number of local charities and causes, including Diabetes Scotland, Aspire and Aberdeen Cyrenians. “After hearing about the Gathimba Edwards Foundation and all the fantastic work they’ve managed to achieve in such a short space of time, I thought it was only right to get behind this truly worthwhile cause. “We are hugely grateful for the incredibly generous support from Phil and his team, as it is going to be life-changing for our children. “There are a number of families who desperately need houses built for them, as they are currently living in iron sheet structures with no walls. We are able to build two-bedroom houses with furniture and electricity for under £3,000, so £500 is absolutely huge for us. Primary school pupils have been working to add their own splash of colour in Aberdeen by sowing seeds for a city centre wildflower meadow. Alongside representatives from Aberdeen Inspired, a class of 22 P6 pupils from Hanover Street School have planted wildflower seeds on the grassy area where Bridge Street becomes College Street. The aim of the session was to create greater biodiversity in the area while also encouraging community involvement in city centre activities. 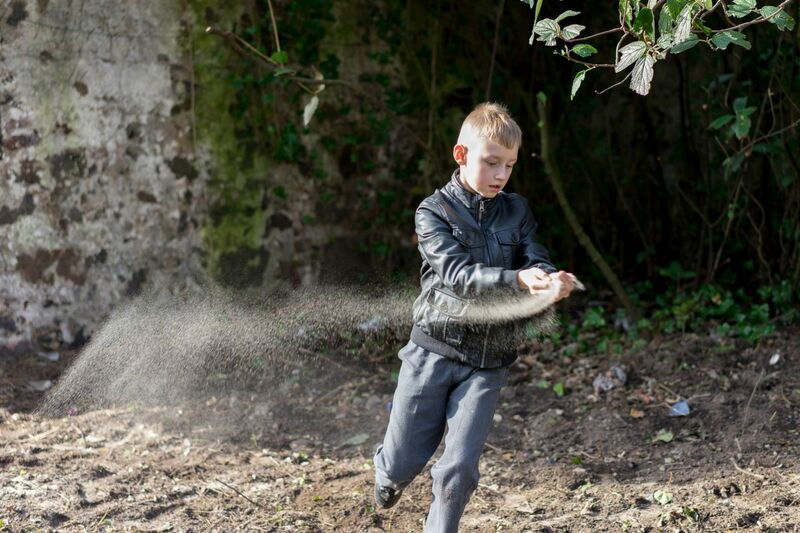 Last year, children from Hanover Street Nursery also planted crocuses at the St Nicholas Centre rooftop garden. Following the seed sowing, it is hoped that the school will take over looking after the wildflower meadow as part of Aberdeen Inspired’s ‘Adopt an Area’ initiative. The organisation has played a key role in identifying areas within the city centre which could benefit from a refresh with the hope of making them more visually attractive and appealing to use. “We were delighted to invite children from Hanover Street Primary School to help us plant a wildflower meadow beside College Street which will brighten up the space in the coming weeks. “As well as teaching them a bit about nature, this session was important to introduce a variety of wild flowers to the area. Increasing biodiversity in the city centre is very important and we are keen to encourage more projects like this. Proceeds are used to fund projects designed to improve the business district and drive increased footfall to the area. An Aberdeen-based family support charity is using Volunteers’ Week (1 – 7 June 2017) as a springboard to successfully conclude its 30th anniversary campaign to recruit 30 new volunteers within 30 weeks. This support is largely provided by volunteers, who are trained by the charity and matched with a family who they visit on a weekly basis. Having started life as a small project operating from a box room within Mastrick Church, Home-Start Aberdeen is now one of the largest Home-Start schemes in the UK. The charity provides over 220 families and 360 children with around 27,500 hours of support each year, however it continues to operate a growing list of those who are in need of help. 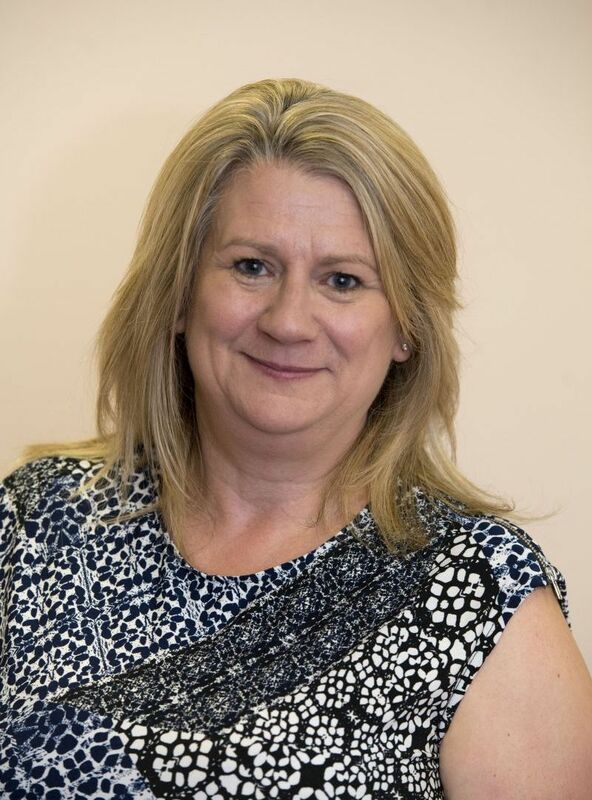 “We have had a tremendous response to our 30 in 30 campaign since launching it in February,” said Georgette Cobban, scheme manager (pictured). “Our second new cohort of volunteers are currently undergoing training, which will bring our tally to 20 out of the 30 new volunteers we would like to recruit by September. For further information on volunteering opportunities with Home-Start Aberdeen, email volunteering@homestartaberdeen.org.uk or telephone 01224 693545. Home-Start Aberdeen is a voluntary organisation, offering support and friendship to vulnerable families. Its small staff team trains and co-ordinates over 100 volunteers who provide families with emotional and practical support in their own homes. Those who are referred to the charity must live within the city and have at least one child under five years old, otherwise there are no barriers to access. To find out more, visit www.homestartaberdeen.org.uk. Disengaged young people living in Aberdeen are being supported to reach their potential through a range of award-winning urban sports and culture programmes that have received a four figure boost from Aberdeen Asset Management’s Charitable Foundation. Transition Extreme’s renowned youth projects combine its extreme sports and arts offering with essential skills and offer a spring board for disengaged and disadvantaged young people to move their lives onwards in a positive direction. The donation from the Aberdeen Charity Committee of the global finance management company will support Transition Extreme in delivering its youth and community programmes like its Alternative, Outreach and Extreme Arts Academies. The youth charity provides coaching in activities like BMX biking, skating, climbing wall, high ropes and art and design and adds in valuable life skills training, which helps increase confidence and motivation among young people who have become disengaged from traditional forms of education. One of its longest running programmes, the Alternative Academy, works with 15-18 year olds that have become disconnected with mainstream education, training or employment. 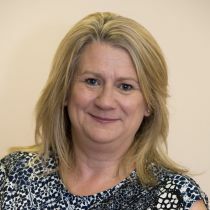 Working with agencies including social work, police and education, the Academy is designed to provide supports coaching which supports physical and mental health, complemented by soft skills workshops where employers provide support with essential skills like how to prepare for an interview, CV writing, applying for a job and fitting into a team. “Aberdeen Asset Management’s kind donation will help our youth work team deliver vital work and programmes tailored towards helping disadvantaged and disengaged youngsters make positive life transitions. 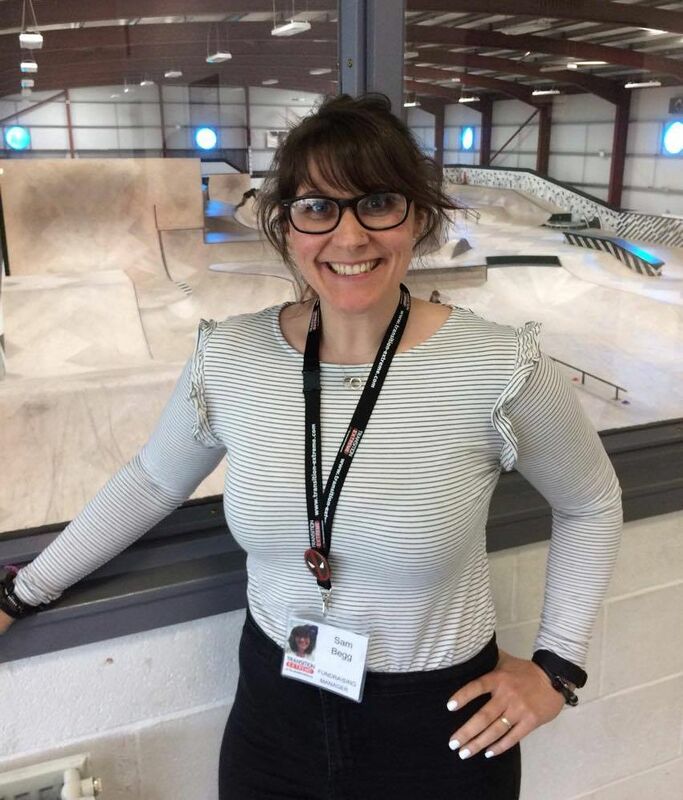 “Transition Extreme is a well-known Aberdeen centre which offers a whole range of urban sports and is a real focus for the youth of the city. “The programmes delivered by its Youth Work Teams are helping to build up self-belief and confidence among young people and offer an important part in the process towards helping them into further education, training or work. The Aberdeen Asset Charitable Foundation was established in 2012 to formalise and develop the Group’s charitable giving globally. The Foundation seeks partnerships with smaller charities around the world, where funds can be seen to have a meaningful and measurable impact and the firm encourages its employees to use their time and skills to support its charitable projects. Transition Extreme is located at Aberdeen Beachfront and its facilities are open to the public. As well as a range of training programmes for young people, it runs outreach projects in Aberdeen communities.